Copperloy yard ramps are designed to increase efficiency and safety standards for loading docks. Operating forklifts is much safer and easier on Copperloy ramps, significantly improving the loading process. 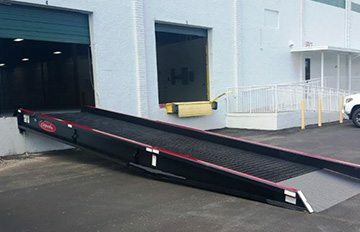 We design loading dock equipment to fit a wide variety of situations, and we customize our products for the unique needs of our customers. 8-foot level off for easy forklift access. Hydraulic pump located on outside. Our Dock-to-Ground ramps are best for fixed loading operations for long-term, reliable loading processes. In these situations, the ramps do not need hydraulic pumps or tires. 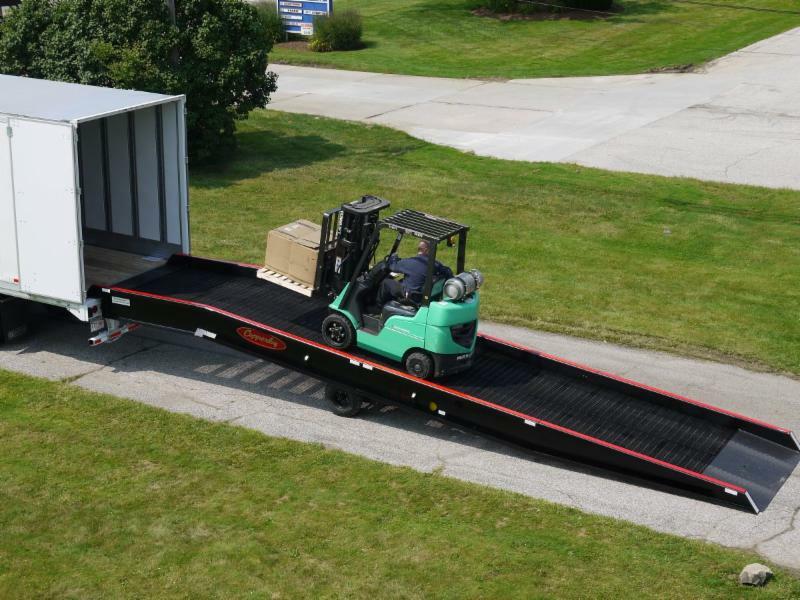 We can also customize our Dock-to-Ground yard ramps for your specific loading dock's specifications.